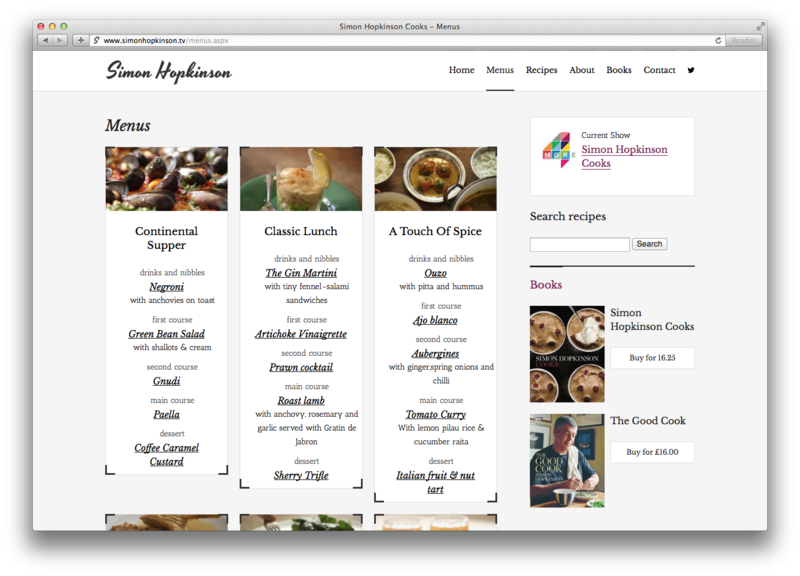 Bionic Media - Responsive Design and Build for TV Chef Simon Hopkinson's official website. 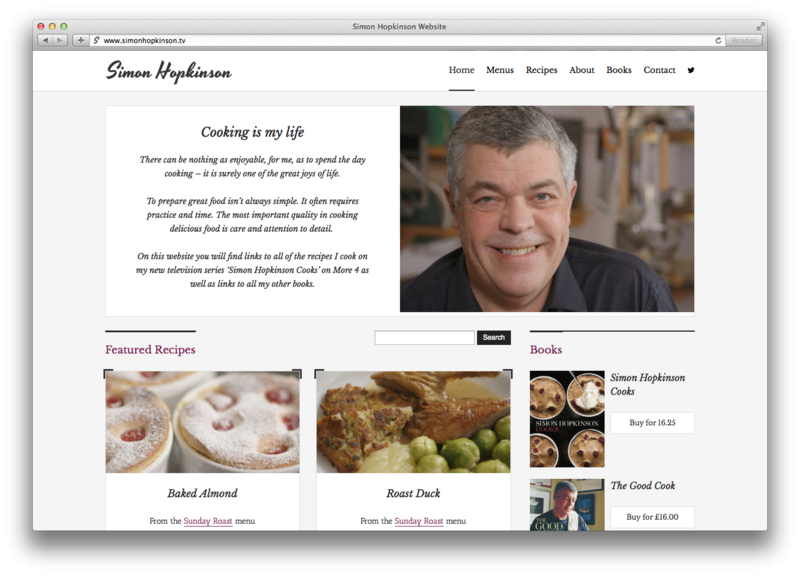 Responsive Design and Build for TV Chef Simon Hopkinson's official website. 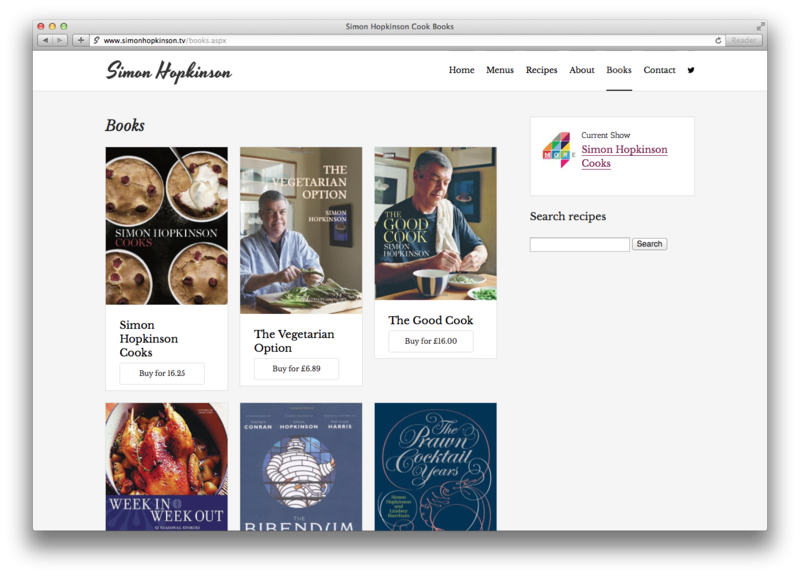 When 'Simon Hopkinson Cooks' was launching on More4, Shed Media needed a website building to support the Show and the Chef. 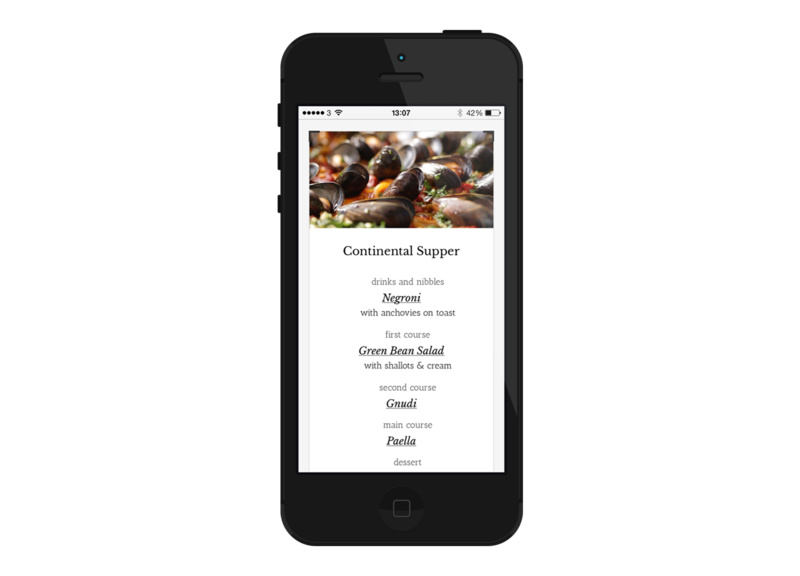 The challenge for Bionic was two-fold. 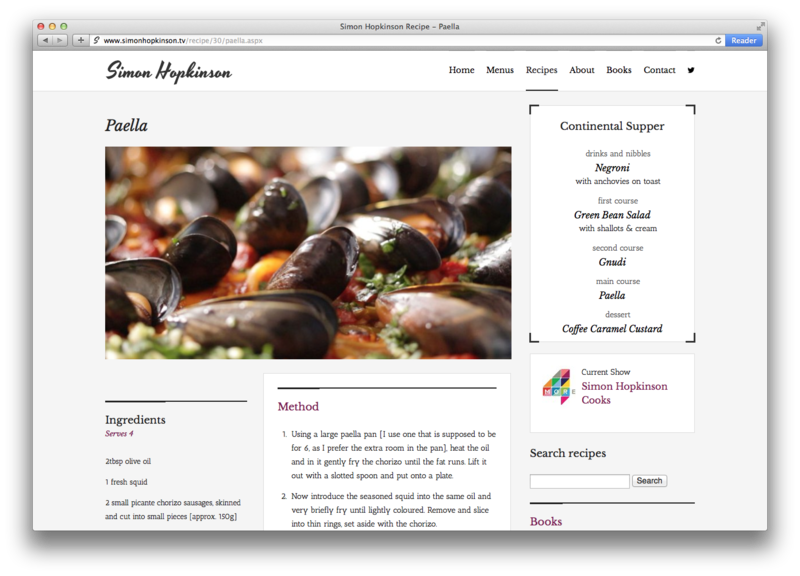 Build the site to reflect the content of the TV series, profiling recipes as part of set menus, but also to allow for Simon to expand the site to house an archive of recipes. 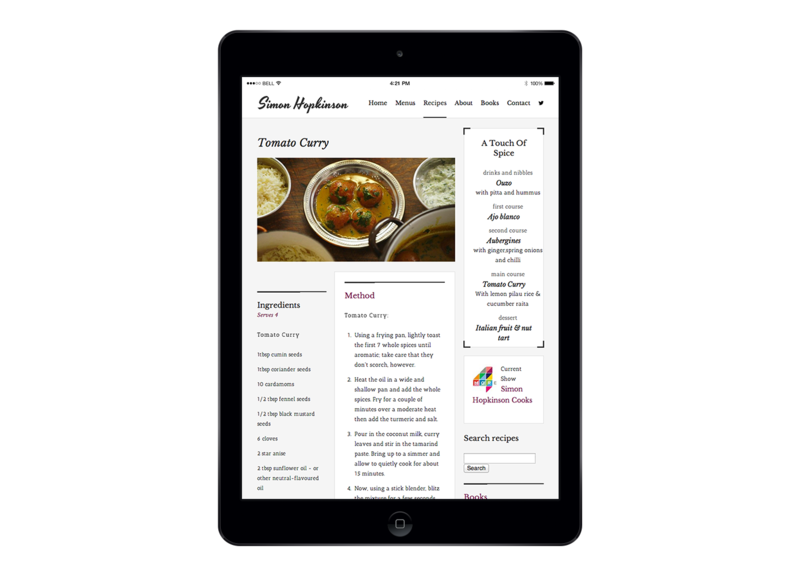 The site needed to sit comfortably with the current TV Series as a second screen destination, a long term home for Simon Hopkinson's brand online and as a jump off for recipe hunters. 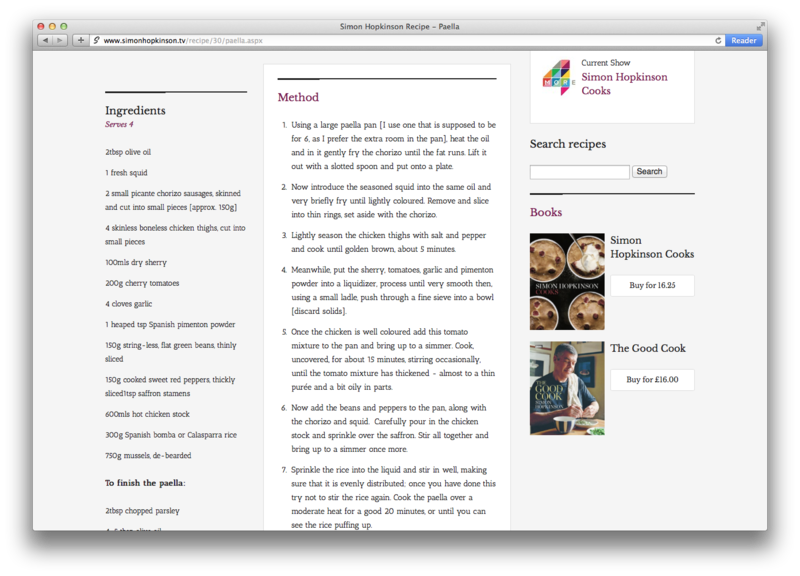 Working with the producers at Ricochet TV we defined a visual style that complimented the More4 Series and Simon's general style that runs through his successful cookery books. 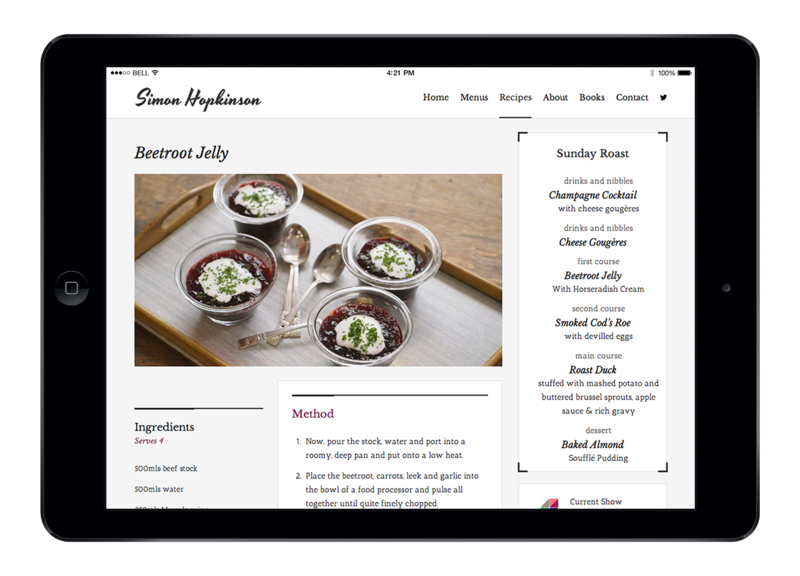 To reflect Simons's taste and style, the design of the site was heavily influenced by the menu based stucture of the TV Show, we used clean lines and classic typography that oozed quality and excellence and let the glossy images of food pervade the site. 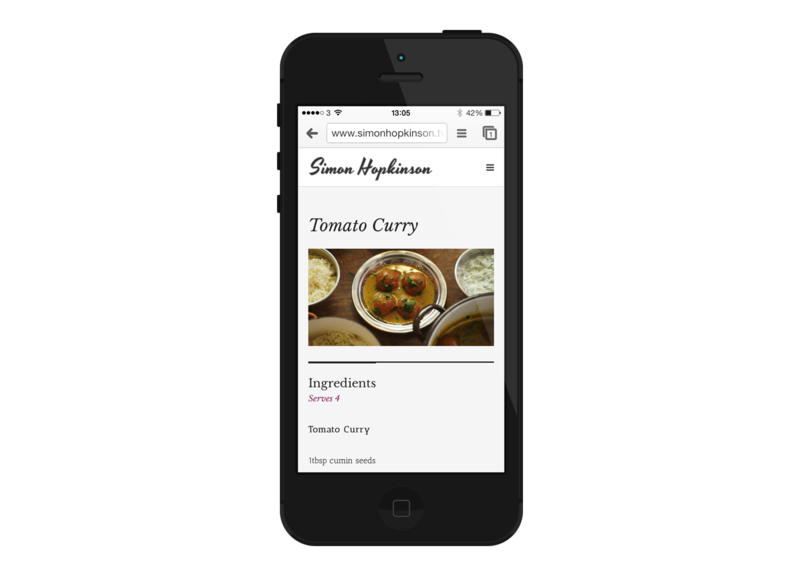 The site was built responsively as we knew users might well be looking up recipes on their tablets and mobiles while in the kitchen as well as using the website as a second screen experience when watching the TV show.